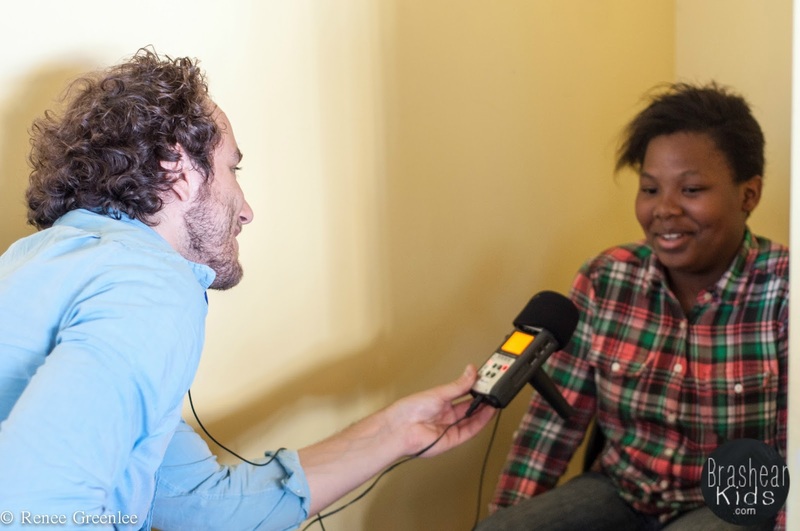 On December 2nd and 3rd the Hear Me team traveled to Philadelphia to interview students for the Campaign for School Funding. This campaign is in partnership with the Education Law Center, and is part of the Campaign for Fair Education Funding, a statewide effort of 40 organizations to ensure students’ access to quality education. The team’s first stop was the Education Law Center's Philadelphia office, where Hear Me interviewed nine young people from various Philadelphia High Schools. The students discussed closing schools, adjusting to school mergers, budget cuts, class size, and the benefits of well-funded schools. Listen to these stories here. The night concluded with a group conversation over pizza, where students talked about empty classrooms, transportation, and school administration. 19-year-old filmmaker Jay Frye, who visited Pittsburgh for last year’s Hear Me 101 screening to showcase his own documentary, photographed the visit and shared his stories. 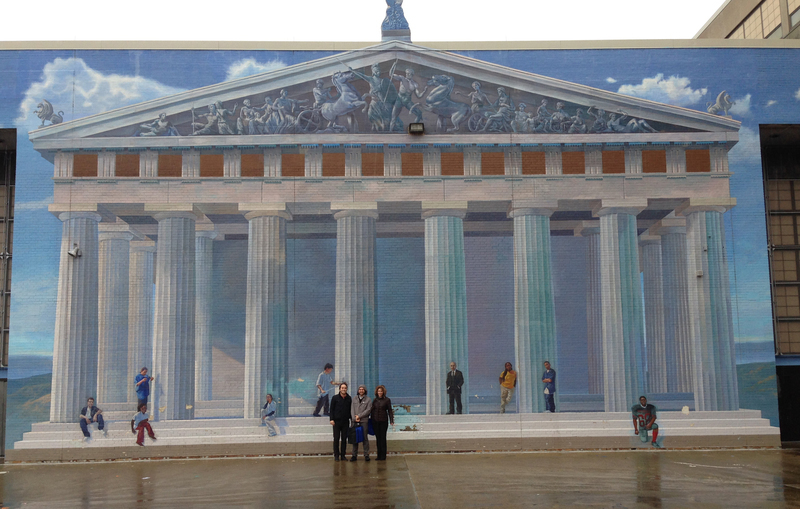 The following morning, the team split up to go to Palumbo High School and Lingelbach Elementary. At Palumbo, Ryan met with Eileen Duffy, a school nurse and a member of the Alliance for Philadelphia Public Schools. Eileen shared Media Mobilizing Project's video, "Our Schools Are Not For Sale," which documents the schools funding crisis in Philly. 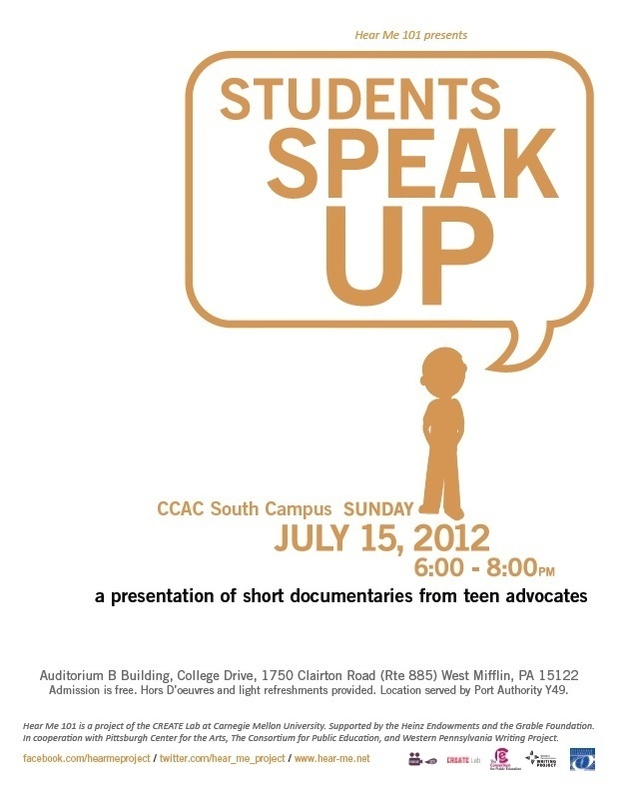 The three students interviewed at Palumbo echoed the view of the documentary - Something must be done to save public education in Philadelphia. Jess and Alex interviewed eight students at Lingelbach Elementary about the effects of budget cuts on their education. Lingelbach had recently been in the news for having an annual discretionary budget of only $160 for the 2014-2015 school year, which equals about 40 cents per student. The Hear Me team regrouped in the afternoon at South Philadelphia High School to interview 11 students about resources and funding at their school. Throughout the interviews, many students talked about the importance of their guidance counselor and stressed the need for additional counselors. At SPHS, there is only one guidance counselor appointed to both the junior and senior classes. In total, Hear Me covered over 600 miles and visited four collection sites in just over 36 hours. 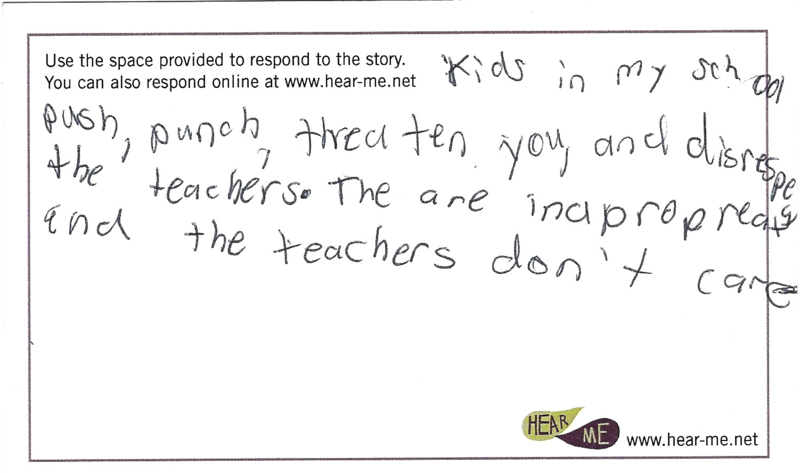 Look for all of the stories to be on the Hear Me website soon. We would like to extend a big thanks to our partners at the Education Law Center and Philadelphia Public Schools for making the trip possible and a special thank you to all of the young people who shared their stories in an effort to ensure fair funding in education. 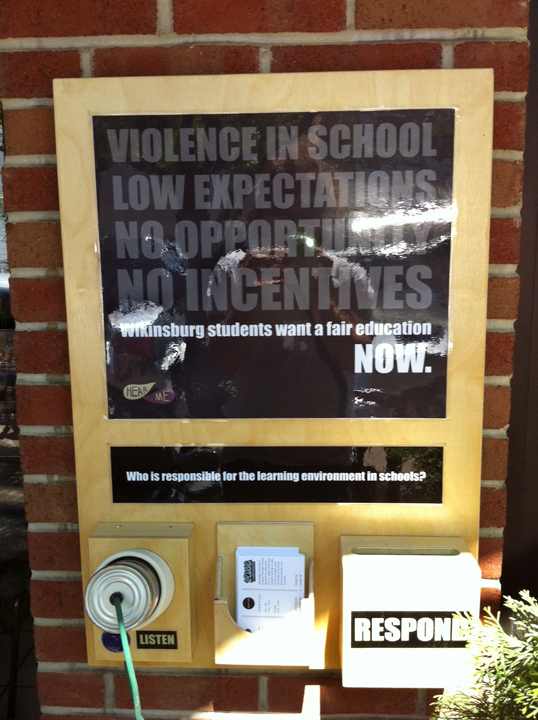 To sponsor a kiosk on Fair Education Funding, email kiosk@hear-me.net and help support these young people. This is a powerful quote from young education activist Nikhil Goyal (pictured above),who inspired me to further question standardized testing. As a student, I understand the importance of tests to track the progress of schools and individuals, but students shouldn’t be ranked based on test scores. The multiple-choice format of testing is a simplistic and inefficient way of assessment. It doesn’t show who the students are. For example, students shouldn’t be labeled as “advanced,” “proficient” or “basic,” based on their answers to test questions. Coming from a low ranked school, I’ve seen students score poorly on these tests; meanwhile they have valuable real-life problem solving skills. I know that some of the things we learn are useful, but when will I be challenged in real life to fill in bubbles? Schools put so much emphasis on the multiple choice section of standardized tests, but in the real world nothing will be given to us on a Scantron sheet with a packet full of multiple choice questions. As students, we struggle to find value in the state assessment system. Watch my documentary "437" here. 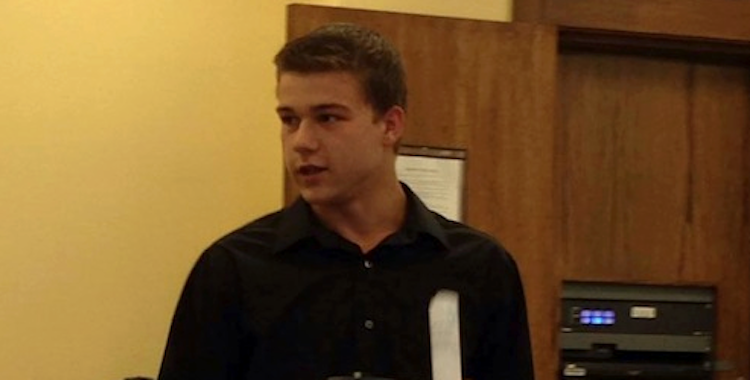 The state should provide more than just numbers about the students and the school district. The writers at the Pittsburgh Business Times were given the statistics and they were doing what they were supposed to do. The numbers don’t show anything about the students’ character or their community. It is difficult to measure creativity and social involvement, but we should be ranked and defined by more than our test scores. We never get a chance to tell the true stories about our community and the quality of the people who live there. We are all held back by the statistics and we need to break the shackles of the “standardization” of our community and tell the real stories. 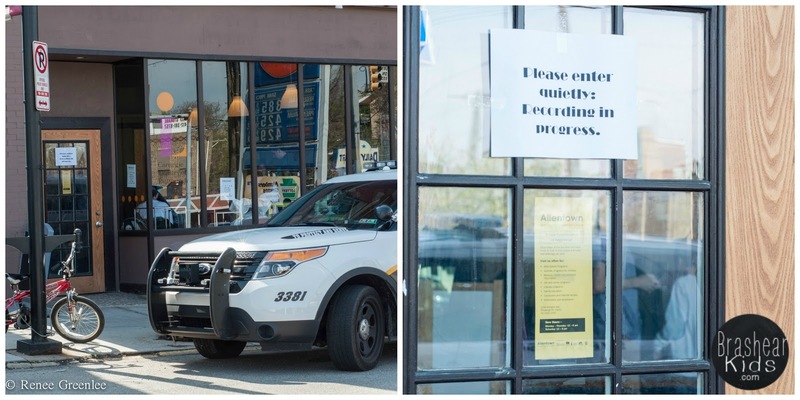 The Hear Me display at Square Café has evoked over 60 unique responses from community members since we installed it in May. The display features rotating stories from a group of passionate students who are committed to improving their education through the F.U.S.E. program, which was started by a Wilkinsburg high school teacher to give students additional learning opportunities outside the classroom. F.U.S.E. 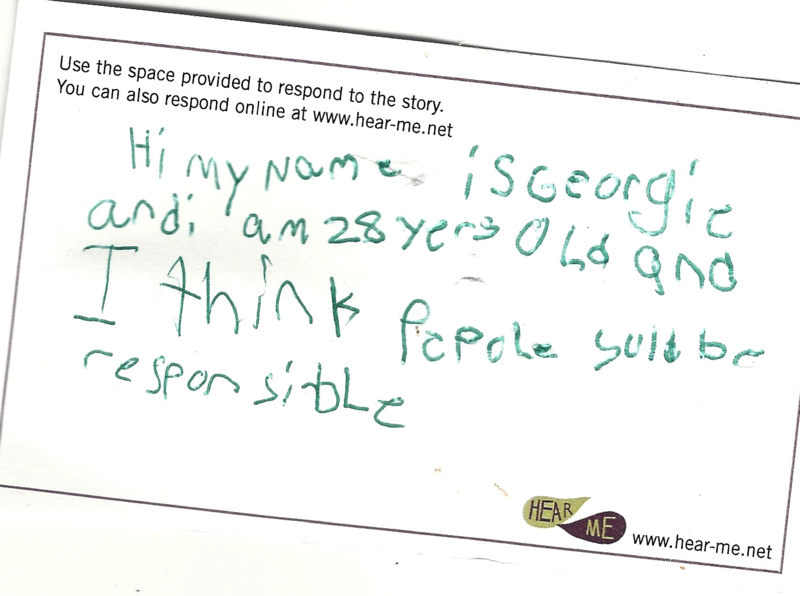 worked with Hear Me to record the students’ stories and partnered us with Square Café, a local restaurant who is committed to serving the community. The powerful stories and the display have become a topic of discussion in the café. We update the story and the question every 2 months. and Tatiyana's, along with the question "Who is responsible for the learning environment in schools?" 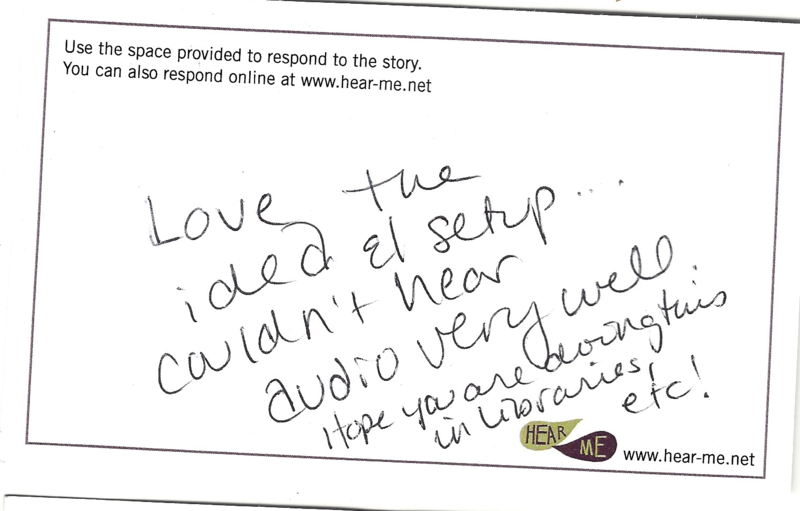 To stay up-to-date with Hear Me displays and community responses, follow us on Facebook at https://www.facebook.com/HearMeProject. For more information or to learn how you can host a display, please email Hoffman.ryan8@gmail.com. Hines Ward, Clairton and USA Network! Hines Ward and students at Clairton High School involved in Hear Me 101 will be featured in “NFL Characters Unite,” a documentary that premieres tonight at 7 p.m. on the USA Network. 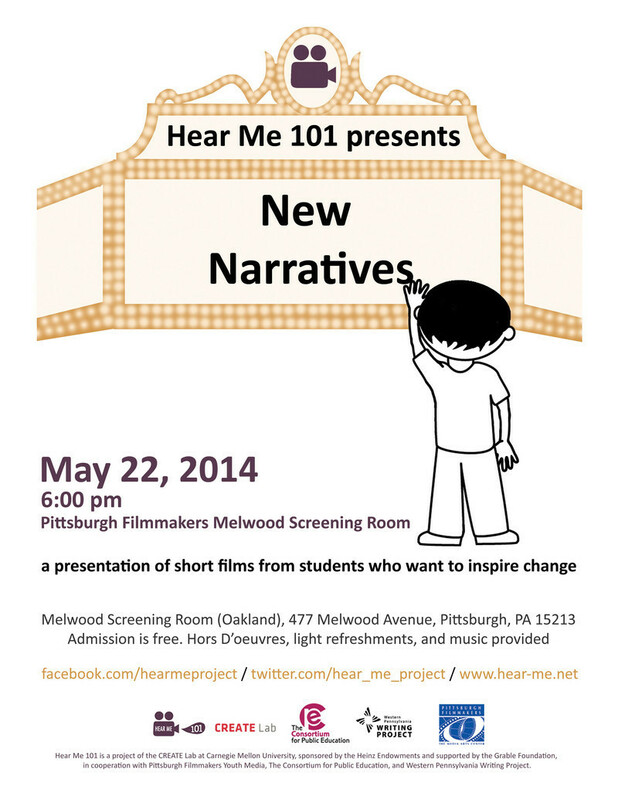 Hear Me connected USA Network producers with Clairton City School District through Hear Me 101 in advance of the filming. Common themes among the students are a desire to raise their community up, become role models and to be seen and heard as positive people. Hines Ward and students at Clairton High School involved in Hear Me 101 will be featured in “NFL Characters Unite,” a documentary that premieres tonight at 7 p.m. on the USA Network.